The 17th Century mathematician René Descartes is believed to be the father of modern western philosophy and science. He departed from the culture of his day by taking an empirical and rationalist approach rather than a metaphysical one. However, he was fully engaged in the world of metaphysics and natural philosophy. Reportedly it was because of his visions – metaphysical experiences, that his work forever changed the world of mathematics and science. There is certainty and knowability in scientific truth. Mathematics is the key to understanding these truth. The process of analytical reasoning, breaking something down into its smallest parts, will lead to ultimate understanding. 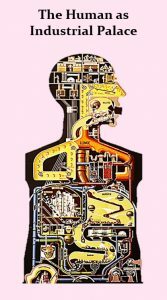 The universe is a physical thing and all that it contains can be analogized to machines. The mind and body are separate entities. The phrase ‘new science’ is not recent. It was the title of a major work by Giambattista Vico in 1725, after Descartes, which is concerned with the ‘”Science of reasoning” and the function of religion in the human world. Today, ‘new science’ refers to an exploration of both physics and metaphysics. Or to put it another way, exploration of the juncture between the physical world and what may lie beyond it or be entwined with it. Some scientists are interested in exploring the threshold of what has been called the ‘conscious universe’. Metaphysics means “Beyond the Physical”. From the Greek words: μετά meta meaning “beyond” or “after“ φυσικά physical meaning “physical”. It is a branch of philosophy investigating principles of reality transcending those of the ordinary world. Mysticism relates to the ‘mystery of mysteries’, to the sacredly obscure or secret, hidden from the eyes of the ordinary person, only revealed to a spiritually enlightened mind. Rhadakrishnan said that mysticism is: “integrated thought in that it brings together in a new pattern, i.e. integrates them, instead of in analytical thought, breaking them into parts. It thus relates them into a meaningful whole. It is a sort of creative insight, springing from a deep unconscious part of the psyche”. Esoteric Science has been investigating the natural world and its phenomena for millennia, similarly applying scientific methodology. 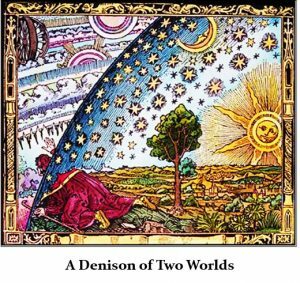 The difference being, that esoteric exploration is not confined to the physical world but to all planes of life, some of which exist as only as subtle matter. 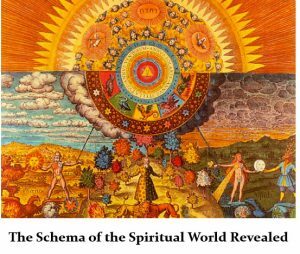 The findings of Esoteric Science have been passed down the generations in all cultures and all times, as oral teachings or written instructions. Such knowledge has been the direct experience of many in the ancient and modern world. As Blavatsky puts it: It was the Rishis or “the Mind born Sons, the builders” of the world [who] preserved the tree of knowledge, and brought it with them for our world – knowledge which the Ancient Seers were able to verify. It is preserved from era to era and from one world to the next – to ensure that it survives. (Secret Doctrine). Pythagoras wrote: “The philosophers and initiates of old veiled truth and prohibited access to their sciences, seeking to preserve their Mysteries so that the vulgar may not profane them.” They will continue to do this until: “Esoteric science, that is integral and religious science, comes to be rebuilt on its own indestructible foundations … the philosophy and Initiate Science of the ancients at its best, leading as all true science must, to the Temple of the Mysteries”. (D’Olivet). Weber comments: “Science seeks mastery over gross matter, mysticism over subtle matter, which is said to have its own laws, analogous to those in science. Science has amassed impressive insight into the inner workings of matter and energy. The esoteric traditions – especially in the East, where it merges with the mystical tradition – has given us the Upanishads and detailed accounts of subtle matter which constitutes the inner bodies of man”. (“Dialogues with Scientists and Sages – The Search for Unity” Weber 1990). 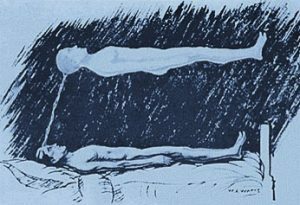 Scientists have no explanation for the experience of consciousness and the majority hold that unusual experiences are caused by the electro-chemical activity of the brain, for example during a near death or out of body experience. Generally speaking, many scientists do not accept that spirituality and metaphysics have any place in scientific research and methodology. Others, however, have a more open mind, albeit they appear to be in the minority. Below are some theosophical writings and articles which explore this field of investigation.